The Alfa Romeo 2000 GTV Bertone Coupé, in its final evolution, was as ground-breaking as Giugiaro’s earlier work for Bertone and it is still regarded as one of the prettiest coupés ever produced. His design had a stunning visual balance, that was enhanced by the clever use of shaping to the front and rear screens. Introduced in late 1972 at Gardone Riviera, the final production run of the Bertone Coupé completely satisfied the Italian market, which was still sensitive to the over 2-litre tax system. Alfa Romeo would produce over 36,000 units to meet demand worldwide of this well regarded Bertone design. 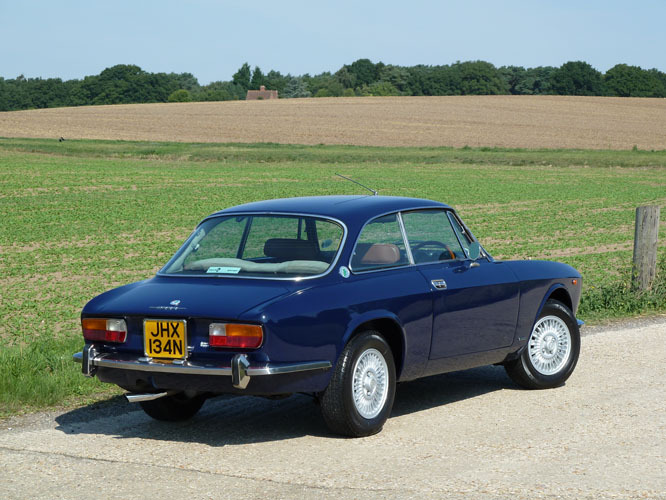 The example offered here is more than just well-regarded however; with just 31,000 believed genuine miles recorded the car is resplendent in original colours of Dutch Blue and Hazelnut Cloth interior. 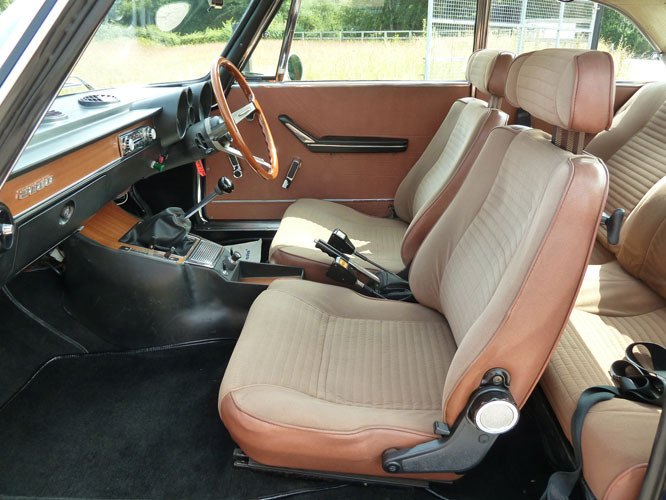 The subject of a sympathetic restoration in 1988-1990 whilst in the ownership of respected motoring journalist, Richard Bremner, it is clear from the car today that his intention was preservation over restoration since it was completed sensitively and to a high standard, retaining everything original, save for the carpets. Part of the restoration is covered in one of Mr Bremner’s books, Alfa Romeo Giulia Spiders and Coupes, on the front cover of which features the finished car. Later, in September 1993 when the odometer recorded just 26,800 miles, Sussex Alfa overhauled the gearbox and replaced the second gear synchromesh. 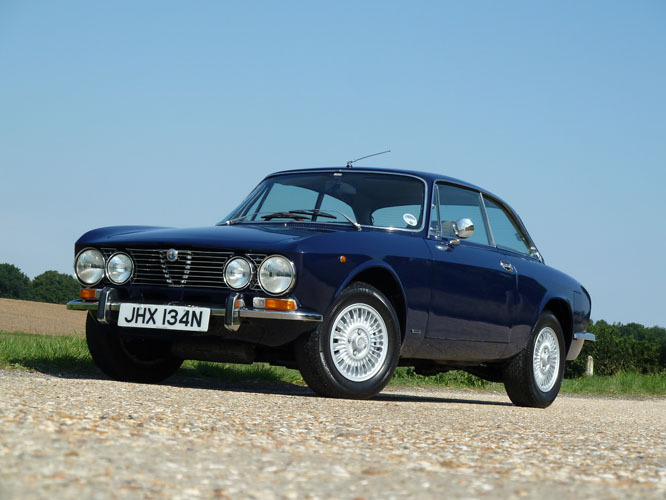 With considerable history from 1985, this GTV is said to run and drive extremely well just as you would expect of a low-mileage and cared for example. 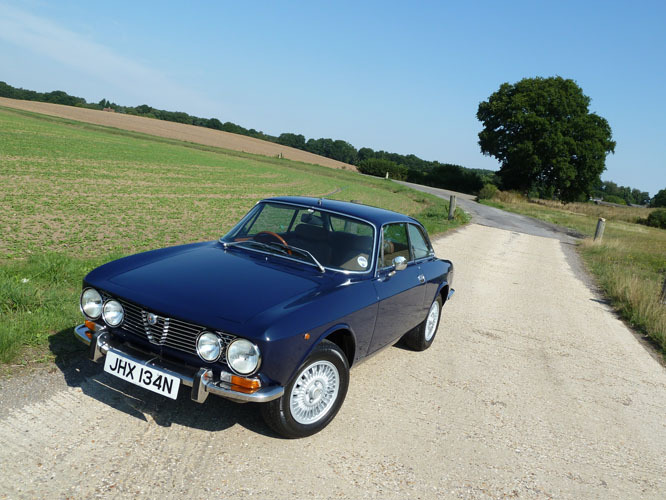 Finished in a wonderful colour combination and in excellent condition, with the interior presenting very well and having a lovely original feel, these sought-after Alfa Romeo’s are effortlessly stylish machines, and none-too-complicated to own and use. The V5C registration document is present and a fresh MoT certificate will accompany the car at the auction.